Peachpurple loves to bake assorted cakes, muffins and cookies. 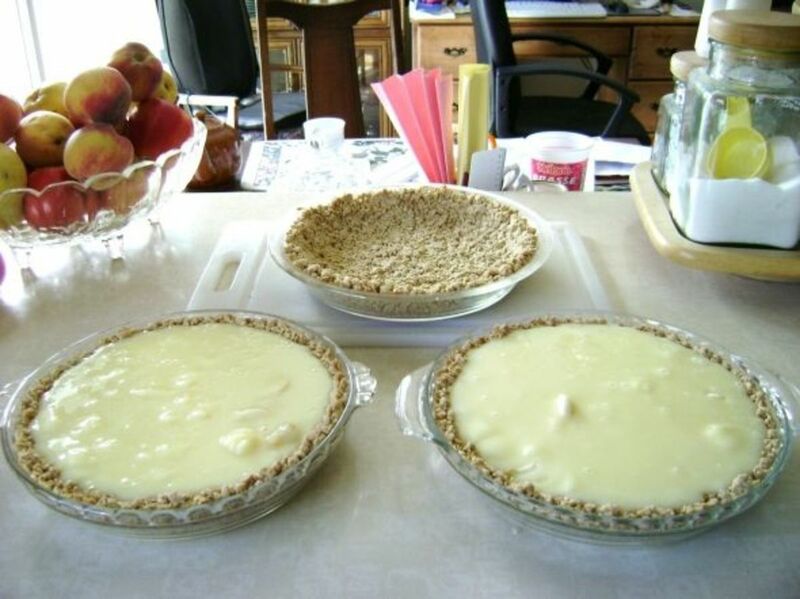 All the recipes posted at Hubpages were originally baked and tasted. How do you prefer your lemon? Looking for low cholesterol cookies? Instead of buying cookies from bakery shops or shopping centre, why not bake some homemade Currant and Lemon Cookies at the comfort of your home. Store bought cookies may contain saturated fats from the margarine they had used and too much coarse sugar may increase your blood sugar level. The main reason why I don’t buy store cookies anymore does not know what or the quantity of the ingredients used in these cookies. By making homemade cookies, I will know how much sugar, butter, flour that I had included in my cookies. I am able to handle the amount of calories and reduce cholesterol level when consuming these delicious crunchy cookies. In addition this Currant and Lemon Cookies taste AWESOME, far better than store bought cookies which are sold in cake box at pricey price tag. Some cookies were broken due to shipper’s negligence or shoppers dropping them onto the floor and put them back on the shelves. Who knows how long these cookies were made and displayed on the sales rack! You can add in more currants if you desire or replace them with chopped red cherries, dates or sultanas. Preheat oven at 180C. Line cookie tray with baking sheet with a little butter. Beat in the egg and mix well. Add in the lemon zest and juice and chopped currants. Mix again until all ingredients are well blended. 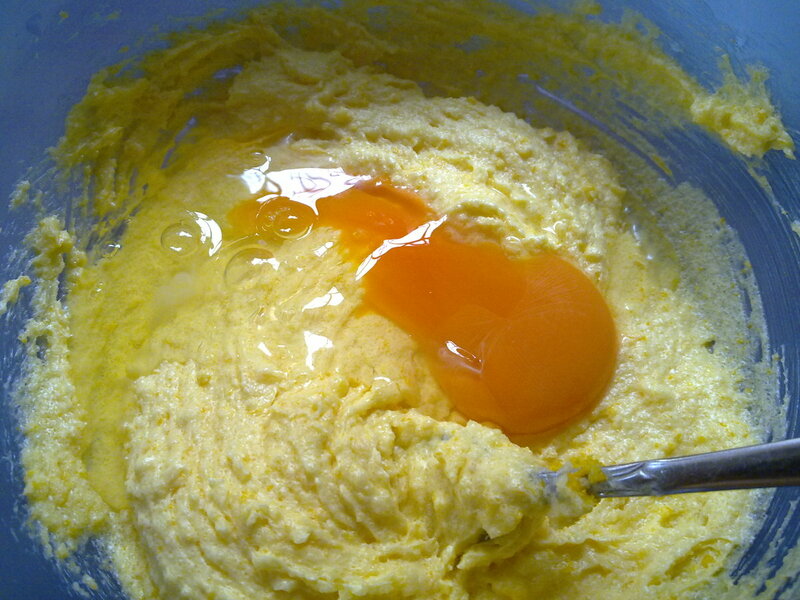 Pour in sieved flour and stir until it will form a stiff batter. 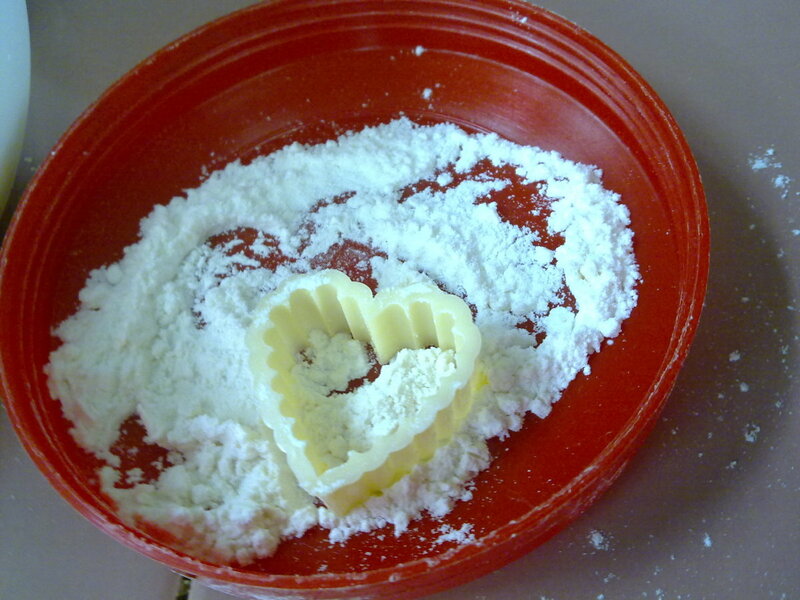 Transfer to a floured surface. Knead well and then transfer it back to the mixing bowl. Chill in fridge for 30 min. 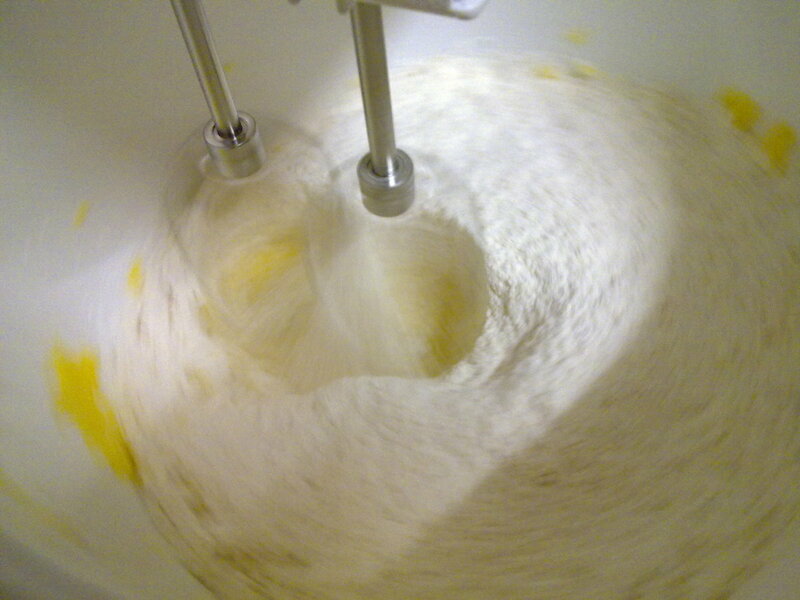 Roll out the dough on lightly floured surface. 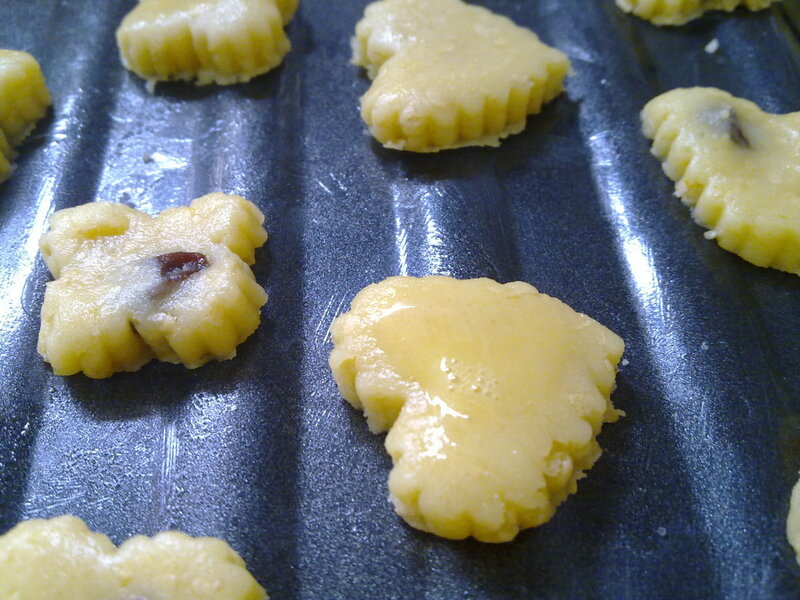 Dip cookie cutters into the flour so that the cookie dough does not stick into it. 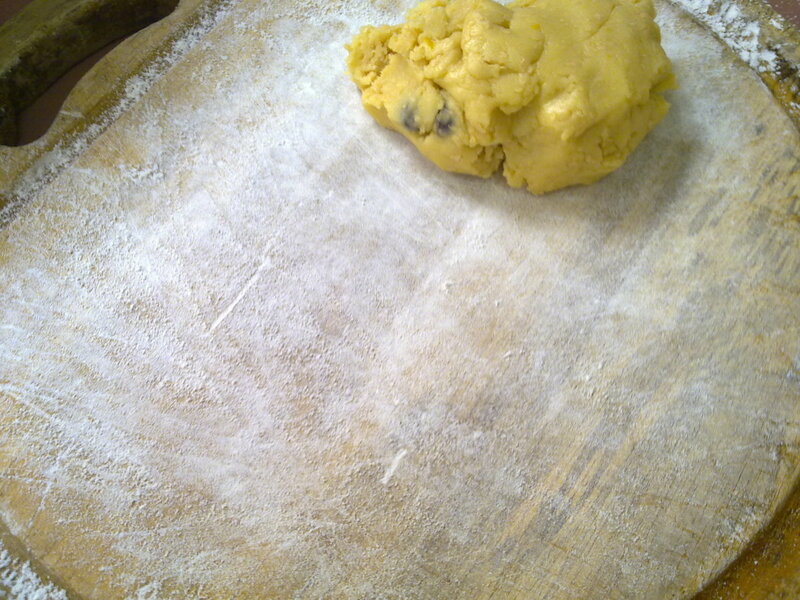 Stamp the cookies out, transfer to the lightly greased baking sheet. Bake in oven for 15 minutes or until the cookies turn golden brown. The cookies may feel soft after freshly bake. Leave them to cool on the rack for 10 minutes. You will be amazed that these cookies turn firm and crunchy after that. Everyone has a misunderstanding that lemon tastes sour at first sight. If you combine lemon juice with sugar or honey, it gives you a refreshing beverage that perks you up like coffee or tea. Like any other fruits, lemons consist of flavanoid substance that includes anti-oxidant, an anti-cancer compound that keeps your body cell from developing cancer cells. 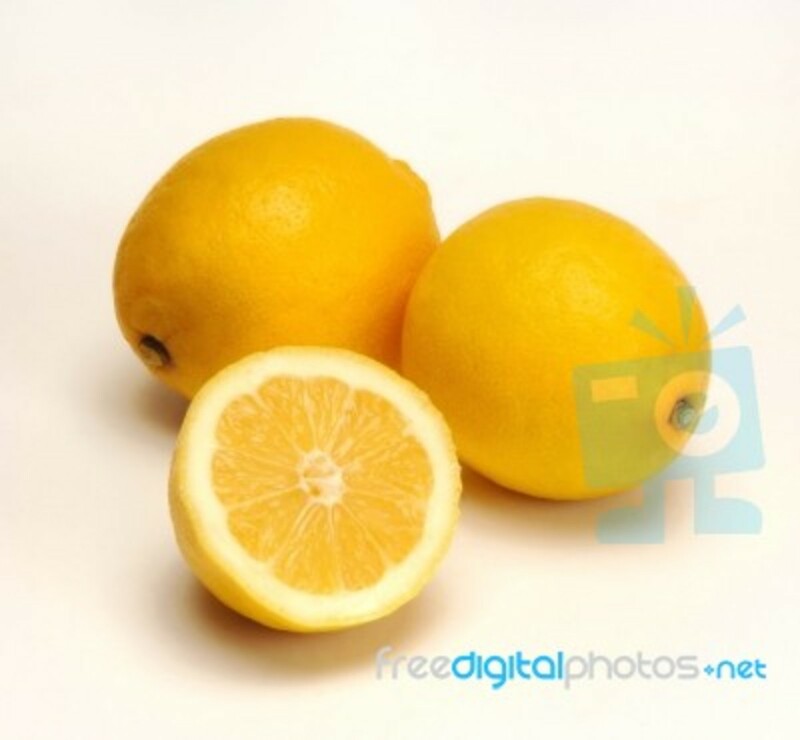 In addition, lemons are extremely high in vitamin C, just like orange juice, a power pack oval yellow fruit that protect our immune system from breaking down easily. It is the best natural antibiotic that doctor cannot prescribe to prevent you from catching flue, runny nose, cold and achy bones. As our body comes contact with free radical s daily when we are expose to open air public places, offices and schools, the airborne germs and bacteria penetrates through our skin and the air that we breathe in. Hence, the vitamin C in lemons neutralizes all the free radicals both in our body system and our skin. Lemons resemble the knights while vitamin C resembles the shields, as the knights use the shields to protect our body from coming down with common illness. 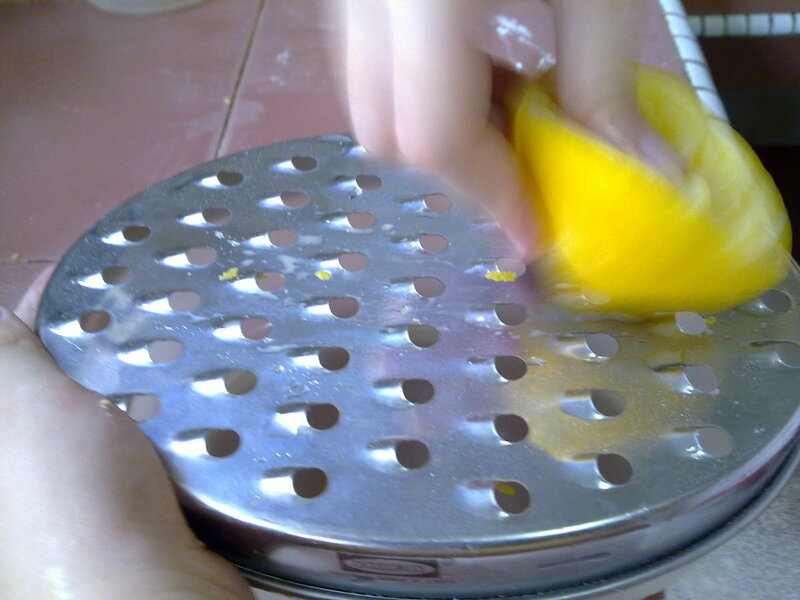 Hence, why not add in 1 zest of lemon with the freshly squeeze juice into your cakes, muffins or cookies instead of chocolate chips? Oh yes, not to be forgotten. Adding chopped currants into my cookies give an additional benefit in providing fiber to our digestive system. As you know, currants are like raisins, figs, bran and oats which provide fiber and soluble to our intestines and bowel system to enhance a smooth bowel movement daily. With the fiber, the waste turns soft and breakable rather than hard stool that induces constipation in kids and young adults. Therefore, I always add in a handful of chopped dried fruits and a wide variety of chopped roasted nuts into my cookies for additional nutrients and fiber. Thus, I make sure that my kids consume healthy low cholesterol cookies instead of letting indulge in sweet, chocolate cookies. Easter Day is a fun day when you get your kids involve in baking Easter biscuits in the kitchen.Add in some chopped walnuts, cashew nuts or hazelnuts to make this festive biscuit crunchy and crispy. 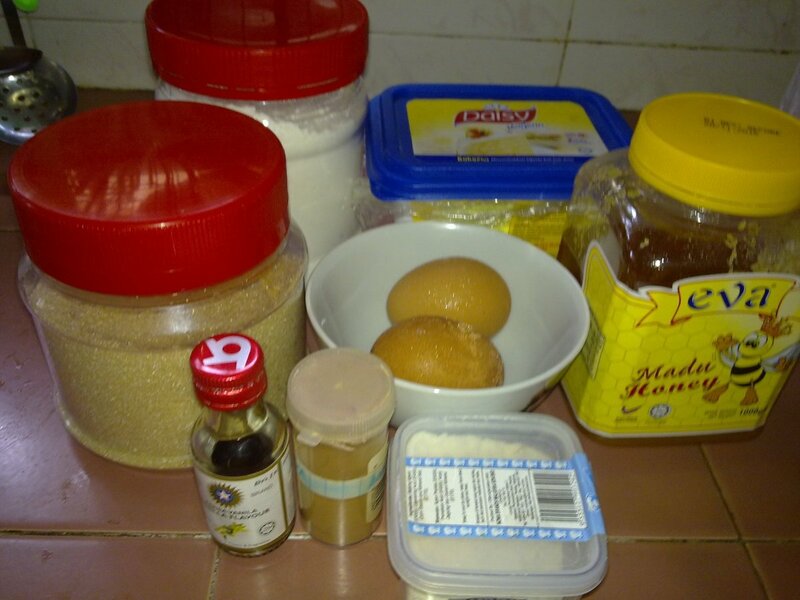 Marble sponge cake is super easy to bake when I use my rice cooker. It is a mixture of chocolate and vanilla cake, very impressive pattern and super delicious! 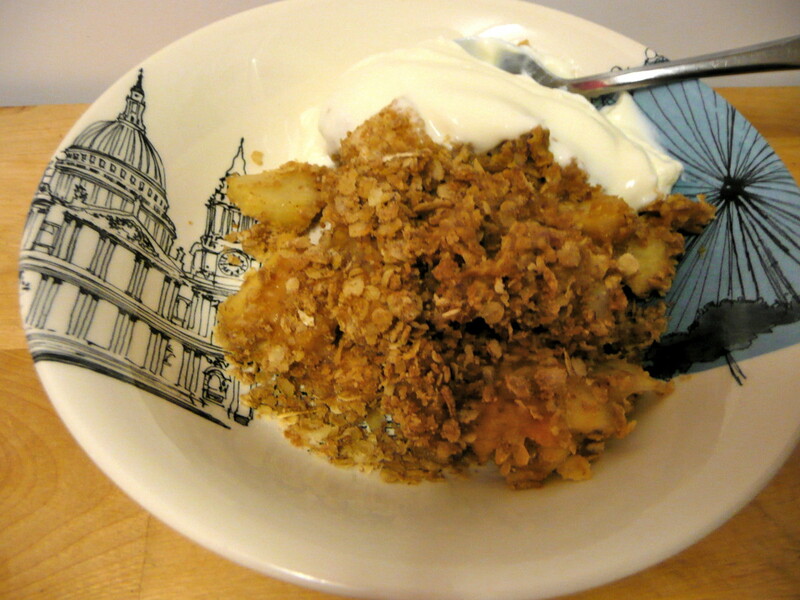 Low Fat, Low Cholesterol, Delicious Fruit Crumble Pudding. Homemade Bruschetta Spice Mix---Easy To Make! Thanks, do you have lemon recipes too? I love lemon flavor. I had some lemon cookies recently and really enjoyed them. Perhaps I will try using this recipe some time soon. Thanks for sharing it. I will try this in the week, thanks for posting. Looks delicious. We'll written blog and I'm going to try this recipe out really soon. These look lovely and easy to make - might have to try out a few this afternoon! Yummy! I love everything with lemons especially lemon cakes and cookies. I´ll try this this coming Christmas and give them for gifts. Thanks for sharing. Happy Mother´s Day for tomorrow. Pinned! This is the healthiest cookie recipe I have ever seen. You are right. Lemon is good for the body and so are currants. I like the taste of lemon in almost everything so I'll try this. Cookies are ever popular for every occasion it seems. They're easy to store in most cases and so always ready if guests drop by. These look great and I bet with a few drops of green food coloring they would be perfect for Saint Patrick's day, just 2 weeks from now. Voted up! These sound and look delicious! 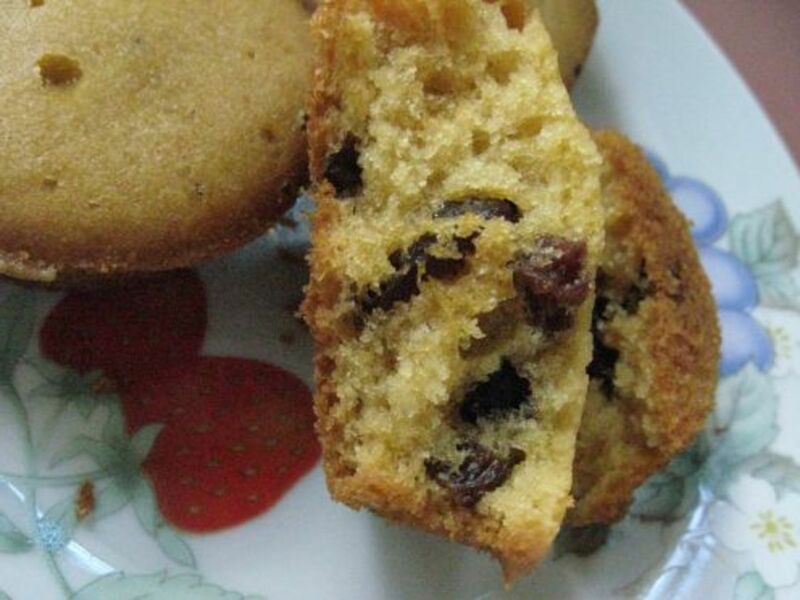 Thanks for sharing your healthier cookie recipe. Your cookie recipe looks very tasty. I love lemons in baked goods. thanks, glad that someone appreciate the mini article on the lemons. These look great! I will definitely make them. I am a fan of lemons in baking and currants, too. 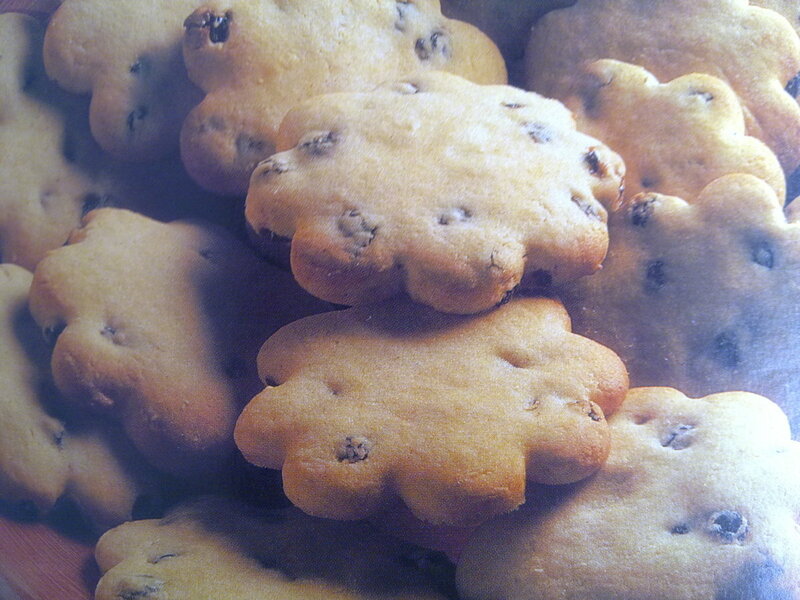 Beautiful pictures and easy to follow recipe. Great mini-articles about the lemon and currants. Thank you for posting this. thanks, have you made them? thanks, are cashews expensive in yr country? The recipe is very interesting. I am going to try it. These look scrumptious. I may make them today. Sharing. Your cookie recipe sounds really good. Thank you so much for this. I am always looking for alternate versions of cookies that make a healthy tasty treat. I am bookmarking to try soon. These cookies look and sound delicious. They seem easy enough to make and I hope to try them out soon. Thanks for the follow. These are everything I want in a lemon cookie. 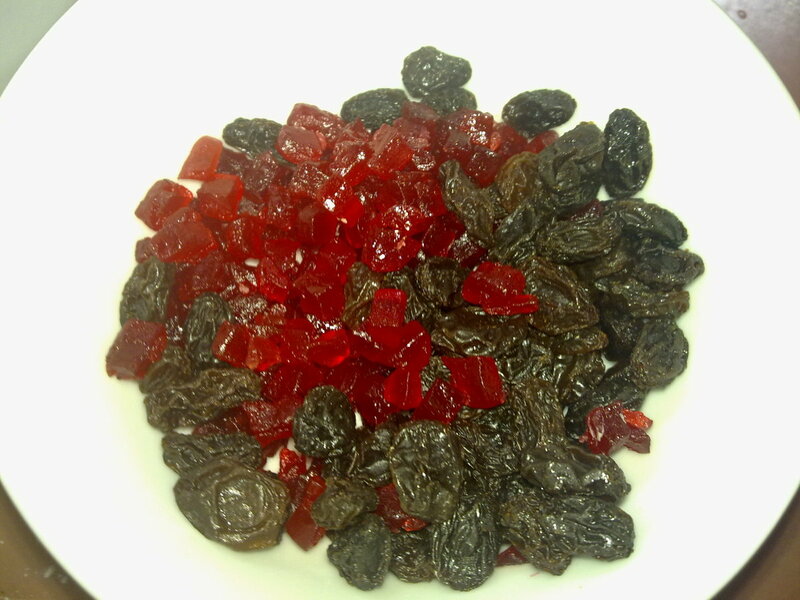 I really think the currants do more for the flavor that other dried fruits would have done. I'm glad I waited until I found some. I will be giving these out as my official less untraditional but far more tasty Christmas cookies to friends and neighbors this year. Yes readers, they are that good! I was a little skeptical on whether they would be sufficiently lemony for me and had planned to increase the zest before trying a tiny test batch. I thought they were pretty close to perfect. One thing I might add next time is a tiny pinch of ground ginger. I like how lemon and ginger play together. Grated fresh ginger would be too strong. Thanks for sharing your from scratch cookie know-how. Brilliant hub! Great recipe! Voted up. Thanks for a recipe that made my mouth water just reading it! Lemon cookies are the kryptonite of my every diet. I quite like currants too. I could happily eat the picture. I have to track down some currents first but that shouldn't take long. Then I am going to try your cookies and let you know what I think! Well done on a beautiful hub too! These sound wonderful, and look great in your photos. It's good to have a healthier recipe for cookies with the holidays coming up. Thanks! Ah, that's a good info thank you! These cookies sound good and they are so pretty with the cutout designs that you used. Will have to convert the measurements before I can make these. Pinning this to my cookies board! Thanks! If you say " Eggs" to my mom, she would totally freak out and say no! hahah she hates eggs with these kind of sweets, she thinks it gives it a bad flavor but the lemon can take that away! Also oranges can be good for that..I still always wonder why eggs should be added to prepare cookies, bread and cakes though? This cookie recipe sounds delicious. I love lemon in cookies. I would probably choose dried cranberries instead of the currants, although that´s just a personal preference. Currants are delicious, too. Looks so good and I love lemon! Looks like a wonderful recipe…mmm. Thanks for sharing it with additional info. 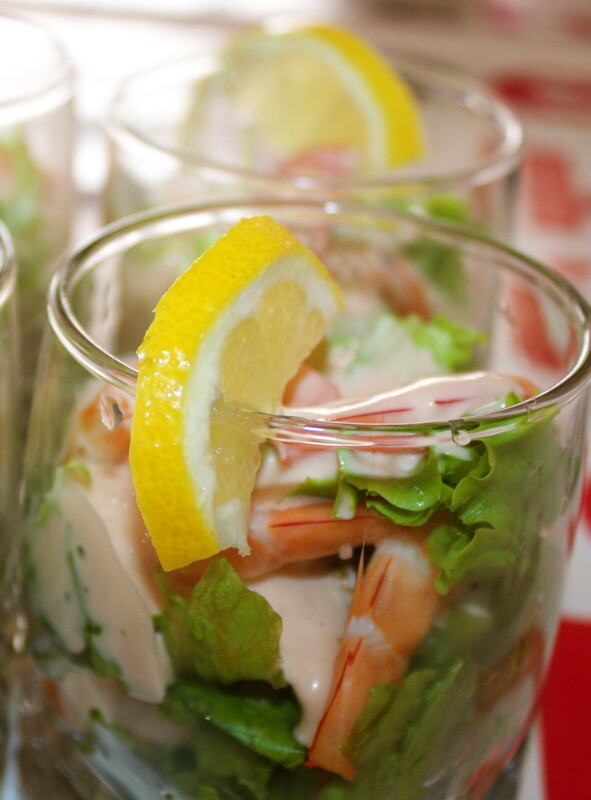 I like recipes with a taste of lemon and this sounds so delicious and a simple to follow recipe. I am totally with you on the 'why'. 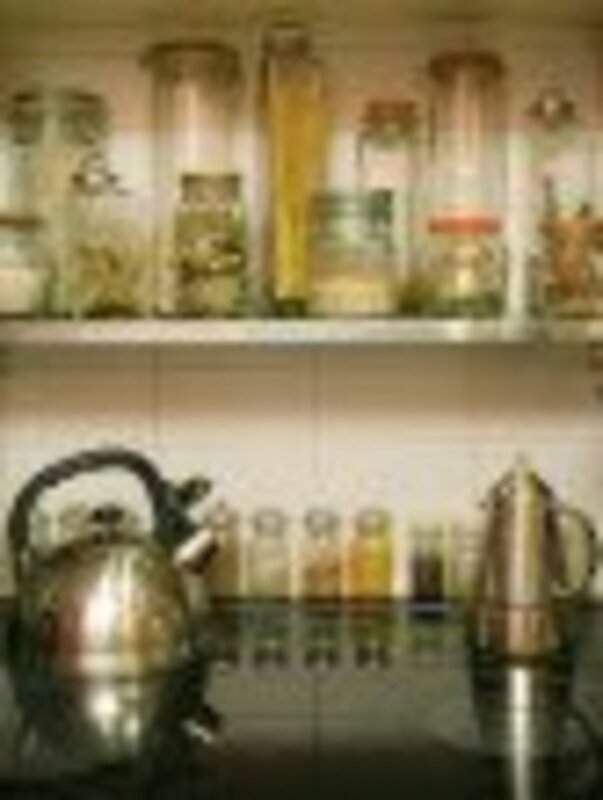 I like to know exactly what is going in my food and how much, which is why home cooking is 99% of what we eat in our home, from breads to soups to cookies! Hi! Nice to see you here and at Bubblews. Perfect cookies for me. The pictures are amazing. This is perfect, with amazing pictures and illustrations! I like your combination of ingredients and why you chose them. Love this recipe idea and your advice on sugars. I drink my water with a slice of lemon each morning for the benefit you mention here. These cookie sound awesome. I will most definitely be trying them. Oh, yum! These look so delicious. I love anything lemon, but lemon cookies are the best. Thank you for sharing your recipe. Great instructions and photos!